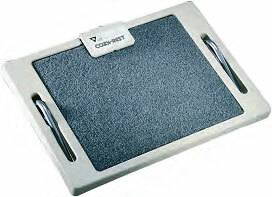 Cozy Foot Rest's ergonomic design is comfortable and easy to use. Using less power than a light bulb, this foot warmer is cheaper and safer than a space heater, costing only pennies a day. Be sure to order the optional Hi/Lo switch for adjusting heat levels.